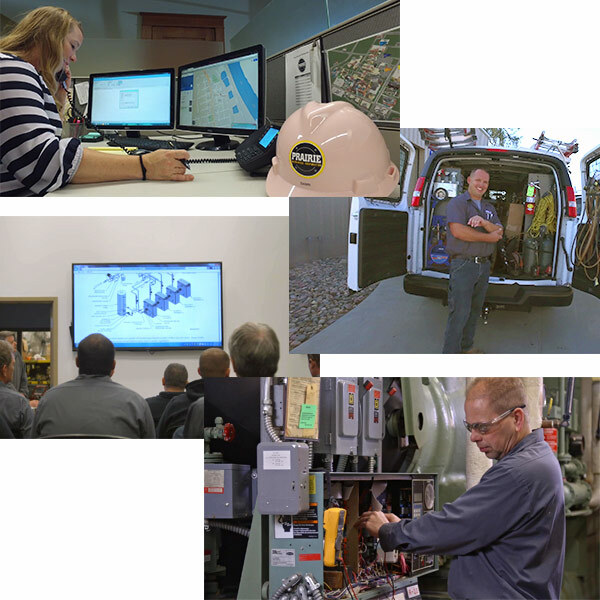 Industry-leading service technicians; that is the Prairie difference! Not only does our staff of service technicians have over 200 years combined industry experience, they are continuously trained through our United Association affiliation and they stay current on the most advanced heat transfer technologies. Many of our technicians hold MSCA Star Certifications through the Mechanical Service Contractors of America. To further develop our service technicians and provide value to our clients, many technicians are sent to manufacturer-specific equipment training to provide factory-authorized start-up and warranty services. Service issues don’t just occur Monday through Friday. Prairie Mechanical has service technicians on-call 7 days a week, 24 hours a day so we can quickly mobilize for unexpected failures. Our service fleet also includes two welding trucks for those impromptu piping failures. Ensuring that mechanical systems are properly functioning is the best way to control and minimize operational budgets. Routinely maintaining mechanical equipment improves equipment reliability, extends equipment life, and reduces energy consumption. Prairie Mechanical works with our clients to create a maintenance plan that is specific to their operational constraints and/or needs.